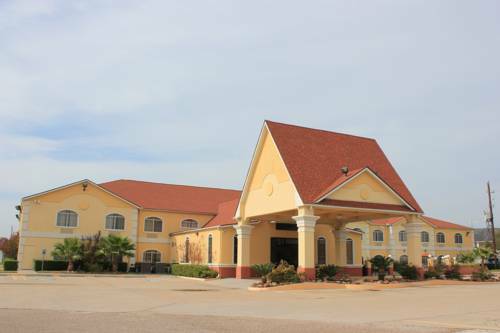 Get more for your money at the Quality Suites North hotel in Houston, TX near the George Bush International Airport. Nearby attractions include Greenspoint Mall, Willowbrook Mall, Toyota Center, Downtown Aquarium and more. Enjoy friendly service and full-service amenities like a fitness center, meeting space, free WiFi, seasonal outdoor pool, free hot breakfast, and copy, print and fax services. Count on room amenities like a refrigerator, microwave, coffee maker, TV and safe. Also, earn rewards including free nights and gift cards with our Choice Privileges Rewards program. Pets Allowed, 15.00 USD per night per pet. Max 20 lbs, 2 pets per room.